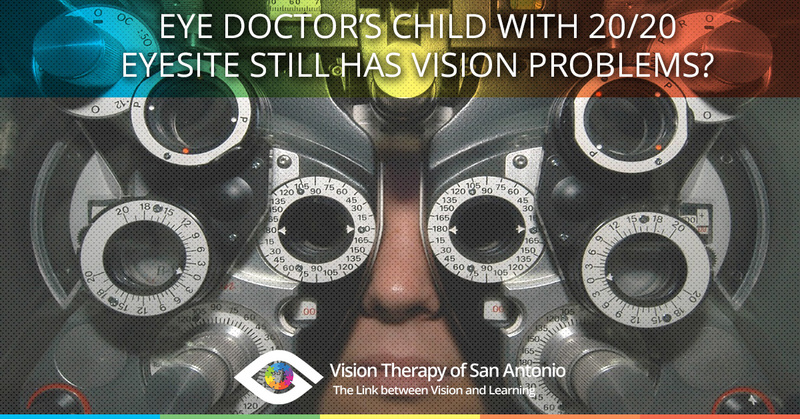 We’re always on the lookout for vision therapy success stories across the country, and I found a great blog post from The Vision Therapy Center in Wisconsin titled, “Optometrist’s Child With 20/20 Eyesight has…Vision Problems?” It was a great example of how most eye doctors, whether they are optometrists or ophthalmologists, do not commonly hone in on binocular vision problems in people who otherwise have good eyesight. Good eyesight is just a measure of black letters on a white chart that is 20 feet away. It doesn’t tell us anything about how much effort is needed to focus on and make sense of words on a page. Call us today if you’d like to schedule an eye exam that goes beyond the routine checkup!